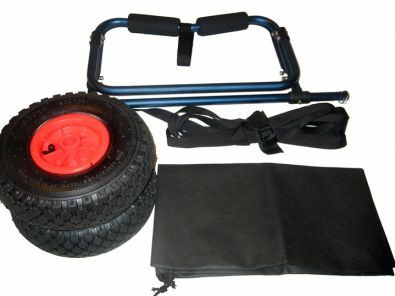 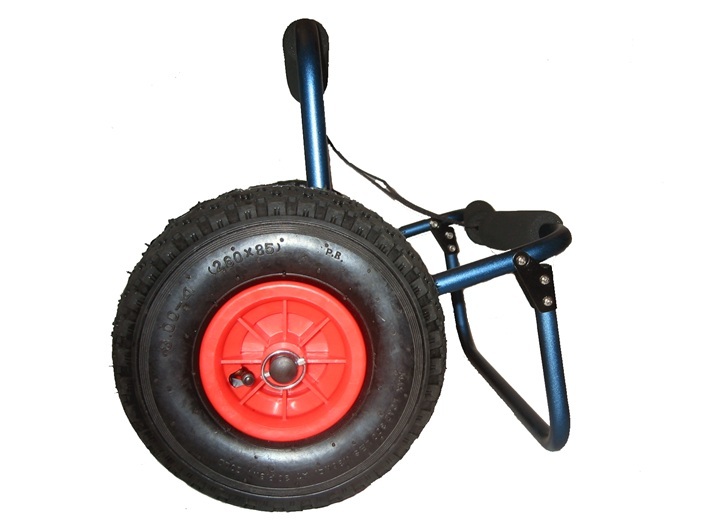 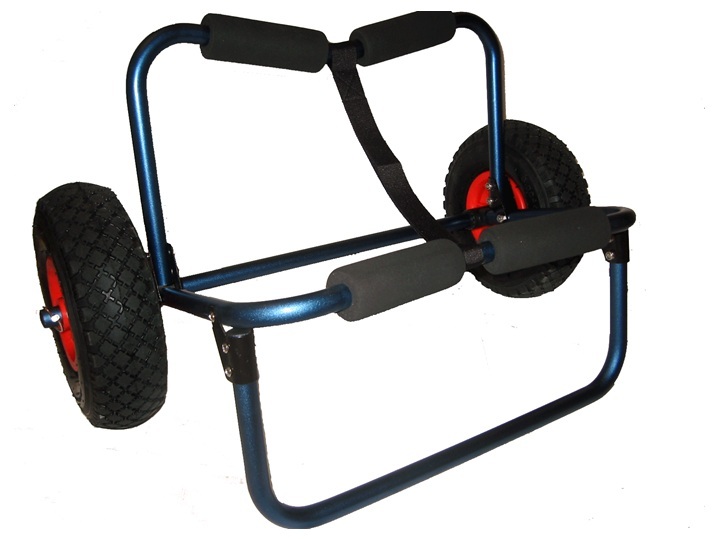 "This foldable cart is very lightweight, compact, sturdy and easy to use. 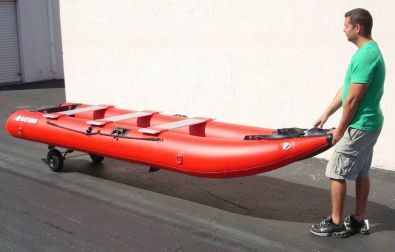 It easily carried a fully inflated and equipped 13' inflatable kayak over uneven terrain with rocks, potholes, roots, etc. 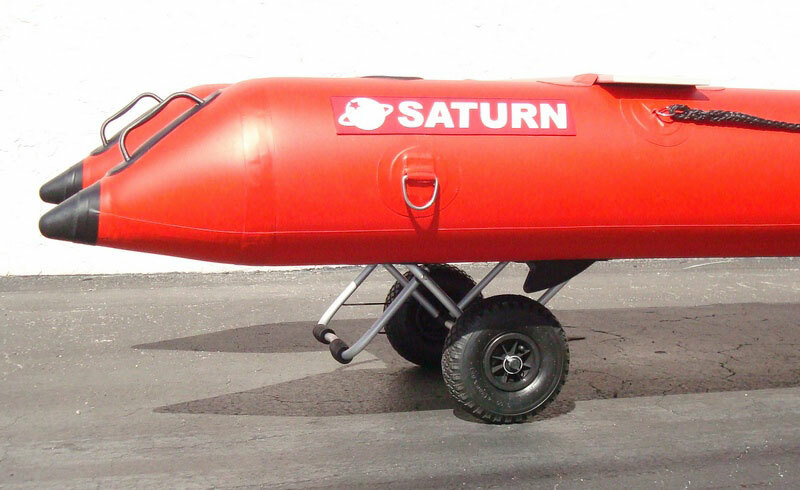 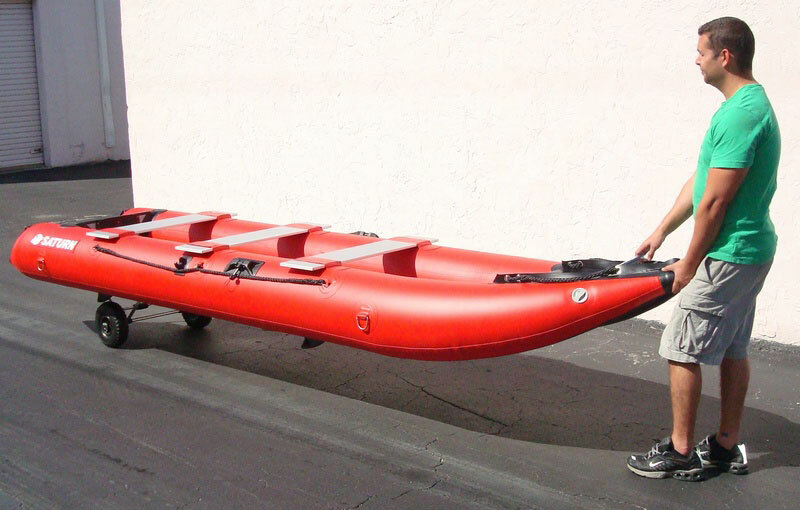 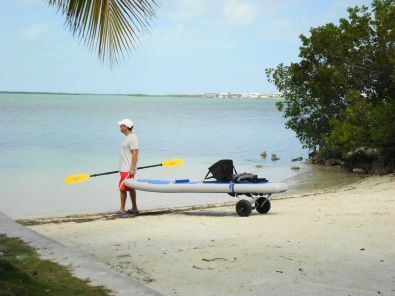 The wheels are large and wide enough to make it an off-road vehicle for your inflatable boat. 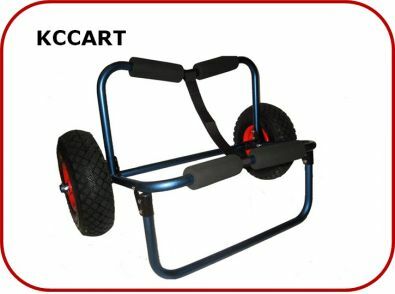 I know because it made mine!"